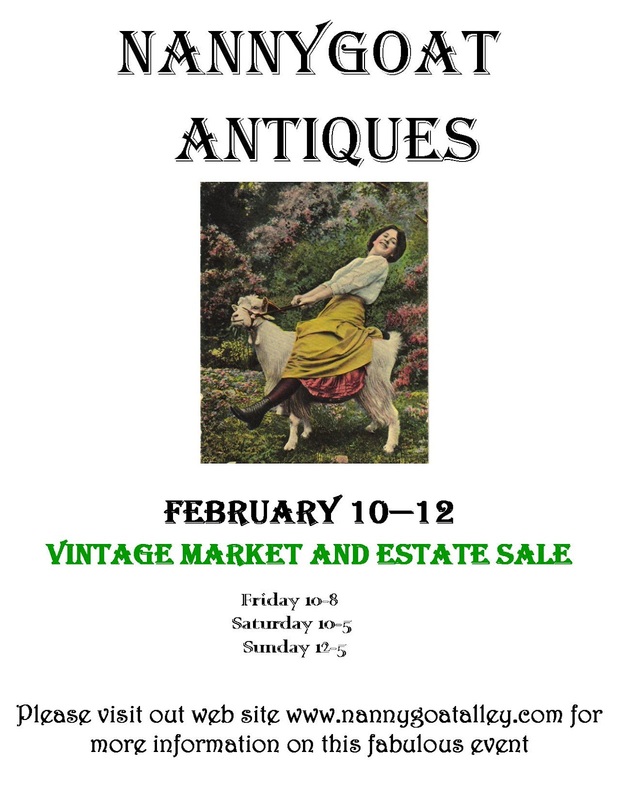 Do you know NannyGoat Antiques? sales and pop-up markets in & around Philadelphia all year. They are pickers, repurposers, sellers of all things funky & junky, chippy & primitive, industrial & salvage, shabby chic & cottage-style, rustic & architectural, vintage-inspired,or just plain fabulous! I was thrilled when the girls from Nannygoat asked me to stage a room in their estate sale. So, be sure to stop by the sale, pick up some great vintage items, and see how I turned a Brady Bunch rec room/den into a fabulous entertainment haven! Also, for a fun surprise…I’ll be at the estate sale Saturday to give a presentation on what to do with all this great stuff you bring home from sales like these. Times are still being determined so check Nannygoat’s facebook page often. Not from around there, but it sure sounds fun!